science | Is Christianity True? This week, incredible cutting-edge technology allowed archaeologists to finally read the contents of a burned 1,500-year-old scroll found near the Dead Sea in 1970. The remarkable discovery of verses from the Book of Leviticus, which matched, letter for letter, the Hebrew text still in use today, is the first instance of one of the Five Books of Moses ever found in a Holy Ark. On Wednesday, researchers in Kentucky and Jerusalem announced in the Science Advances journal the success of new technology called ‘virtual unwrapping’. A complicated and difficult process based on the technology used in medical CT scans, researchers said it “represents a significant leap forward in the field of manuscript recovery, conservation, and analysis”. The technique allowed scientists to read the Ein Gedi Scroll, a charred, ancient parchment discovered in an ancient destroyed synagogue on the shores of the Dead Sea more than forty years ago which has sat on a shelf, untouchable and indecipherable, ever since. The scroll contains the first eight verses of Leviticus and dates from either the 1st or 2nd century CE and when compared to the Torah used today it is identical. This is the earliest discovery of an Old Testament manuscript since the discovery of the Dead Sea Scrolls in 1947. The supposed conflict between science and religion that proliferates culture today possibly originated with the depiction of the 1925 Scopes “Monkey” Trial in the movie Inherit the Wind (1960). Thinking back to you high school American history class, one event that is usually taught is the infamous Scopes Trial in which John Scopes was found guilty for teaching evolution in a Dayton, Tennessee classroom. While this event is worthy of study for political reasons as well as educational policy, my focus in this post is the propaganda that the movie heaved upon cultural understanding of the relationship between science and religion. A young teacher by the name of John T. Scopes was accused of teaching evolution in a state-funded school which allegedly violated the Butler Act of 1925 in Tennessee which prohibited the teaching of evolution. Defended by the well-known trial lawyer Clarence Darrow, Scopes was prosecuted by the three-time presidential candidate William Jennings Bryan. The atmosphere in Dayton, TN that hot summer of 1925 was electric like a sideshow carnival. Hundreds reporters descended upon the town, including H. L. Mencken of the Baltimore Evening Sun. Articles for newspaper and magazines produced countless articles and cartoons on the trial. Stories were wired by telegraph as far as Europe and Australia. This was the first American trial that was broadcast by radio, while thousands of people crowded the festival like town of Dayton. Scopes was found guilty and was fined a $100. While the Scopes Trial in its own right was newsworthy, playwrights Jerome Lawrence and Robert Edwin Lee created it for Broadway in 1955 as Inherit the Wind. It was later produced as a theatrical film in 1960 (directed by Stanley Kramer with Oscar winning performers Spencer Tracy and Fredric Marchand along with Gene Kelly) and subsequently in 1965, 1988, and 1999 for television. Kevin Spacy and David Troughton starred in a 2009 revival at The Old Vic in London. The 1960 film has by far been the most influential iteration of the Scopes Trial and unfortunately so. A much more faithful depiction of the trial is Edward J. Larson’s Pulitzer Prize winning history book Summer of the Gods. 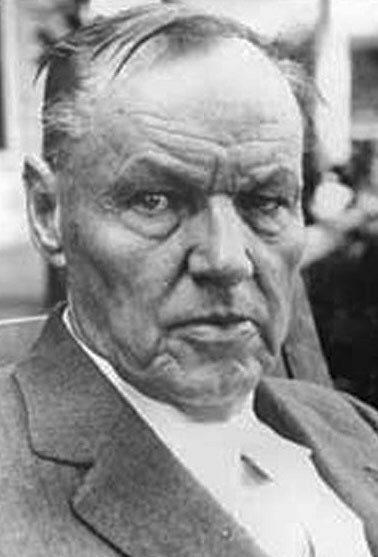 Balmer correctly pinpoints that Inherit the Wind was the “main culprit” for depicting the trial as an exaggeration to create a comic or grotesque effect. Why should we be concerned with a film instead of the history. Well, because of the influence movies have on culture. For example, there are numerous lesson plans (here, here, here, and here) for high school students on the movie. Just do simple Google search to see the plethora of lesson plans available for teachers of history, English, science, and humanities that utilize Inherit the Wind. Thousands if not tens of thousands of students are exposed to the Scopes Trial via the movie every year. Inherit the Wind film was a originally a theatrical play in 1955 by Jerome Lawrence and Robert Edwin Lee. It was later produced into the well known film staring Spencer Tracy and Fredric March. The movie was remade in 1999 starring Jack Lemmon and George C. Scott (it has several other television remakes as mentioned before). The play, and later the movies, change the names of the actual people. Here is a diagram to help with watching the movie. I’d like to call attention to a couple of excellent blogs by Luke Barnes correcting some historical blunders that Neil deGrasse Tyson made. 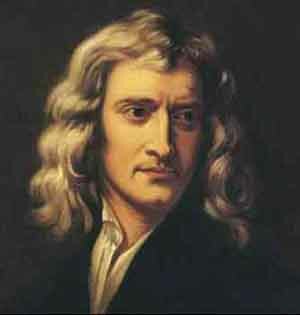 Tyson argued that Newton failed to discover the stability of the solar system due to blinders that resulted from his belief in God. Here are links to Part 1 and Part 2 of the blogs by Barnes, a cosmologist from Australia. This story may have never actually happened – the case for its historicity is somewhat weak as Laplace himself denied it and the earliest reports about the meeting are relatively late. The other problems with Tyson’s claims can be found by linking over to the post. Allen Hainline runs a college ministry at the University of Texas at Dallas that I am privileged to speak at ever so often. It is part of the Reasonable Faith chapters of William Lane Craig’s ministry. Information can be found at Reasonable Faith University of Texas at Dallas (RF UTD) which usually meets every Thursday night at 7 PM in the campus library. Just this year they have had J. Warner Wallace (former cold-case detective), Dr. Frank Turek,(apologist at Crossexamined.org), Dr. Ray Bohlin (a molecular and cell biologist), and Dr. Michael Strauss. (professor of physics at University of Oklahoma). Christianity Today article reports on Alister McGrath’s lecture at Baylor University. 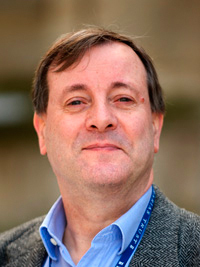 McGrath holds the Andreas Idreos Professorship in Science and Religion in the Faculty of Theology and Religion at the University of Oxford. A prolific author who holds three doctoral degrees in both science, theology, and intellectual history all from Oxford University, McGrath has explored and explained the relationship between science and religion (and has the credentials to do so expertly). Atheism is in decline and will be trumped by faith, the professor of science and religion at the University of Oxford has said. McGrath said he was an atheist as a young man, but faith makes greater sense of reality and transcends reason, which is insufficient for understanding the world. 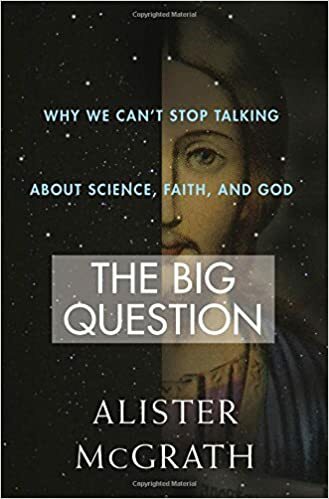 Alister McGrath’s The Big Question is an accessible, engaging account of how science relates to faith, exploring how the working methods and assumptions of the natural sciences can be theologically useful. McGrath uses stories and analogies, as well as personal accounts, in order to help readers understand the scientific and theological points he makes, and grasp their deeper significance. An extremely accomplished scientist and scholar, McGrath criticizes the evangelism of the New Atheists and paves a logical well-argued road to the compatibility between science and faith. Lawrence Krauss, theoretical physicist and cosmologist at Arizona State University, penned an article with The New Yorker. It is provocatively titled “All Scientists Should Be Militant Atheists.” Not just an atheist, but a militant atheist. Krauss, has risen in fame in the past few years, penning such books at The Physics of Star Trek and The Universe From Nothing. In an interview with Sam Harris, he describes himself as “as an anti-theist rather than an atheist.” Krauss has had multiple debates with William Lane Craig here in the United States as well as in Australia (here and here and here). He even did a movie with Richard Dawkins titled The Unbelievers. Dr. Craig did a series of podcasts commenting on the film. In his September 8 article in The New Yorker, Krauss claims that “it’s inevitable that [science] draws people away from religion.” Oddly enough he just merely asserts this claim without any evidence or argument. Are we to just believe him on blind faith. If science inevitably draws people away from religion how does he explain Francis Collins, Sarah Salviander, John Lennox, Neil Shenvi, Ray Bohlin, Michael Strauss, John Polkinghorne, or Alister McGrath. Or how the book True Scientists, True Faith explores how twenty of the worlds leading scientists explain how their science enhances their faith and their faith undergirds their science. Dawkins [and Krauss] is not a philosopher (he’s a biologist). Even taking this into account, however, much of the philosophy he purveys is at best jejune [i.e., naive, simplistic, and superficial]. You might say that some of his forays into philosophy are at best sophomoric, but that would be unfair to sophomores; the fact is (grade inflation aside), many of his arguments would receive a failing grade in a sophomore philosophy class. “Scientists Should Tell Lawrence Krauss to Shut Up Already” by Edward Feser in Public Discourse The Witherspoon Institute, Sept. 28, 2015.
science is an atheistic enterprise. “My practice as a scientist is atheistic,” the biologist J.B.S. Haldane wrote, in 1934. “That is to say, when I set up an experiment I assume that no god, angel, or devil is going to interfere with its course and this assumption has been justified by such success as I have achieved in my professional career.” . . . In my more than thirty years as a practicing physicist, I have never heard the word “God” mentioned in a scientific meeting. Belief or nonbelief in God is irrelevant to our understanding of the workings of nature . . .
Checkers is an atheistic enterprise. My practice as a checkers player is atheistic. That is to say, when I move a game piece across the board, I assume that no god, angel, or devil is going to interfere with its course and this assumption has been justified by such success as I have achieved in my career as a checkers champ. In my more than thirty years as a checkers player, I have never heard the word “God” mentioned at a checkers tournament. Belief or nonbelief in God is irrelevant to our understanding of the workings of the game. So, it isn’t just science—even checkers proves atheism! Who knew? “Why Can’t These Guys Stay on Topic? Or Read?” by Edward Feser at Edward Feser Oct 4, 2015 – Here Feser responds to some criticisms of his critique of Krauss. I had a former student who went to Harvard University several years back who returned an atheist. I asked what evidence did he find that showed Christianity to be false. He informed me that in his biology class he was taught that scientists were able to produce life from non-life in laboratory conditions. That has nothing to do with Jesus’ existence, his death, or his resurrection, but nevertheless, some people think evolution disproves God. I am not sure how, but there you have it. Nevertheless I continued the conversation to see where it would lead. Now, I am no Ivy league graduate, so I was very interested to see what a cutting edge research university had turned up. To my utter surprise he related the Stanley Miller-Urey experiment. An Ivy league school was teaching that the 1950s Miller-Urey experiment is our best evidence that nature can produce life from non-life. Now, I have just finished paying taxes and all the Ivy League schools receive government funding, which in short means I pay for an Ivy league school to teach an out-of-date and defunct experiment to our nations leading students! Pardon me for being a little upset, but give me a break. I would expect just a little bit more from a leading institution such as Harvard. 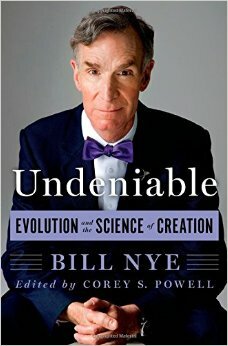 Bill Nye, who starred in the PBS series “Bill Nye the Science Guy” in the 90s, has recently published a book on evolution and guess what it includes. You guessed right: the Miller-Urey experiment. 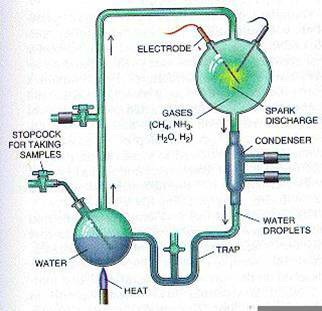 For those not in the know, the Miller-Urey experiment was conducted at the University of Chicago in 1952 in which they simulated what they believed to be the early conditions of earth and provided an electrical impulse to produce amino acids which are the building blocks of proteins, and proteins are the building blocks of life. 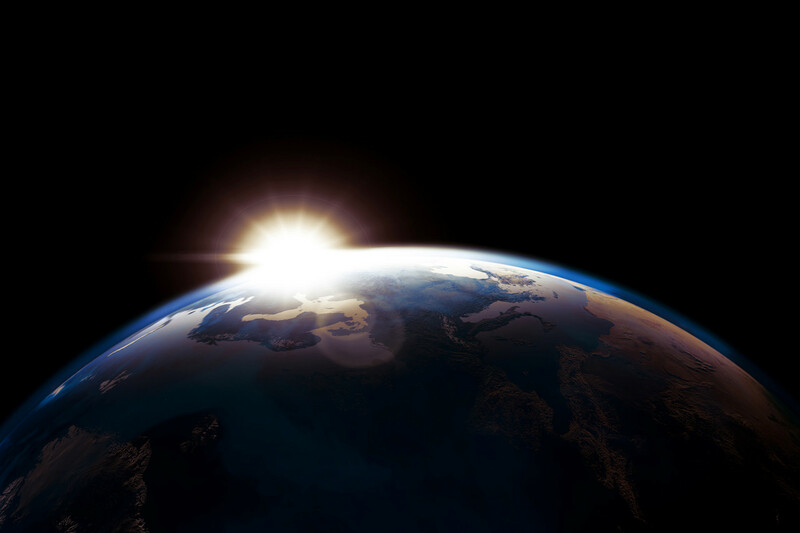 One simple problem: those conditions simulated in the experiment did not resemble the early conditions of earth. As Casey Luskin explains in a Stream article: “Nye maintains that the famous Miller-Urey experiments ‘simulate[d] the conditions on earth in primordial times,’ and ‘produced the natural amino acids.’ Yet the Miller-Urey experiments did not accurately simulate the earth’s early atmosphere. An article in Science explains why the experiments are irrelevant: ‘the early atmosphere looked nothing like the Miller-Urey situation.’ ” Luskin goes on to enumerate other pseudo-science claims in Nye’s book including the 1% myth and the TIktaalik “fisapod” as a transitional fossil and the suboptimal design of the human eye. The MIller-Urey experiment is a 60+ year old experiment that is defunct and discredited. Schools, textbooks, and universities need to give this one up. The origins of life remains a mystery. In fact, the origins of life studies are so desperate they are asserting a theory called panspermia, which is the idea that extraterrestrial life has deposited the first life on earth. Sounds more like science fiction than science. Wall Street Journal’s most popular article in its history is how science is making the case for God, not against. Eric Metaxas published this on Christmas day 2014 and has received more hits than any other article on line for the WSJ. William Lane Craig did a podcast over the article because of its popularity. He commented on its influence and the science behind it. All of these are well worth the viewing, reading, and listening. Mr. Metaxas is the author, most recently, of “Miracles: What They Are, Why They Happen, and How They Can Change Your Life” (Dutton Adult, 2014).